Sunday afternoon Wilson Ramos went 4-for-5 against the Indians to become the 12th player in baseball history and the first since 1998 to have four hits in his MLB debut. For an encore he went 3-for-4 with two doubles last night versus the Tigers, becoming the eighth player to ever collect three or more hits in each of his first two games. The other seven: Joe DiMaggio, Enos Slaughter, Hub Walker, Preston Wilson, Guy Sturdy, Charlie Bates, Coaker Triplett. DiMaggio and Slaughter are Hall of Famers and Wilson was an All-Star, but amazingly Walker, Sturdy, Bates, and Triplett combined for just 542 total hits after the great two-game stretches to begin their careers. No player has ever produced three or more hits in each of his first three games, so if Ramos has another big game tonight against the Tigers he can probably just start writing his Hall of Fame speech (if he hasn't already). 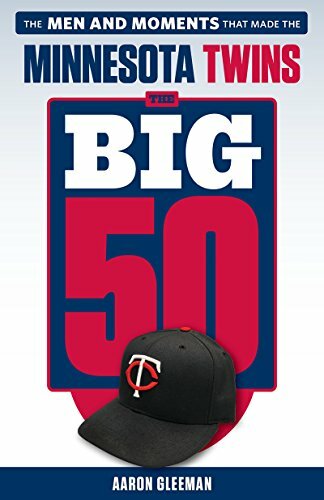 Two games into his career and Ramos already has more hits with the Twins than 55 position players in team history, including names like Ruben Sierra, Vic Wertz, Elmer Valo, Walt Bond, Brian Raabe, Rob Bowen, Danny Ardoin, Pat Kelly, Cleatus Davidson, Howie Clark, Corky Miller, and Minnie Mendoza. Or put another way, Ramos' seven hits are tied for 279th in team history with Chris Speier, Greg Johnston, Sam Perlozzo, and Hank Izquierdo. And all after he hit .179 at Triple-A before the call-up, including 0-for-8 in his final two games. Another fabulous night for Ramos. Start writing, Wilson! Get ready for the “move Mauer to 3rd Base” meme. Move Mauer to 3rd Base. Watch out Joe! So far, comparing their first two games, Ramos has an OPS of +300 over Mauer’s first two games, plus he hasn’t managed to tear up his knee yet. The silver lining is that Ramos’s value will be very high as trade bait later this year. The Twins need to find a third outfielder, preferably a right-handed hitter with power. Or maybe a third-baseman with from power in his bat. Insurance. Ramos shouldn’t be traded. He’s probably more affordable to keep around than pay insurance on Mauer’s contract not to mention, the thing we could really use coming off the bench is a RH power hitter. Thome’s gone after this year and Kubel’s only secured through next. He’d be great as a potential DH/2nd string catcher and really affordable player for years. You don’t trade away prospects of this nature unless you’re getting something very valuable in return. There is nothing that they need right now bad enough to sell that insurance policy. Agree w/ MC. I have no problem w/ a Mauer/Ramos Catcher/DH platoon. None whatsoever. As long as there’s not something we need that much more (we’ll see about 3B and 2B in a year or two). Some guys get bored in the minors. Wilson is not bored now. He likes the excitement of the major leagues, and I think he is going to continue doing quite well. Jimbo, I think there is something to that. Although it’s only been two games, his somewhat surprising success (compared to his recent numbers in the minors) is reminiscent of Denard’s call-up in 2008 when Cuddyer went on the DL. ramos hits .179 in aaa then comes up and starts tearing it up…what’s to say valencia couldn’t do the same thing…at some point a 27 yr old can’t be considered a prospect. Instead of moving one of these guys to 3B, why don’t we trade Ramos for a third baseman? Ramos for Youkilis. I kind of dig the idea, and I think you were kidding (at least a bit) but I just had to look…and I don’t think the Twins going to take on Youk’s $9.375 mil this year, as well as the $12.5 mil each of the next two seasons. Not to mention that the Red Sox probably wouldn’t be willing to do the deal. Oh well, it was fun for a moment. Maybe a #1-2 pitcher in a deal for Ramos otherwise I don’t think it’s worth getting rid of talent like he has. This has been a treat to watch!!! Not to mention I picked up Ramos as my catcher for my fantasy team as soon as my late first round pick in a 12 team league predictably injured himself. I love Joe, but having Ramos in the wings, as some of you have said, is a luxury. I would hate it if we traded him. If he continues w/success at even a fraction of the pace he’s at now, he’s still a valuable handcuff for the back up catcher, DH roll. Gardenhire more often than not finds a way to get the guys who deserve at bats, the at bats they deserve. This kid is only 23 years old, keeping him in our corner is the wise thing to do. Watch another piece of history appear before your eyes this evening. I call Ramos taking Willis deep today, something like the 4th inning! Put it on the board! Jelvis De La Guardia is spanish for “Nick Punto + Delmon Young = Unstoppable Rebel Force at the plate”. I almost choked on my gum from laughing. Breaker — yes of course I was kidding. We should be able to get another team’s top prospect for Ramos. Good-hitting catchers are rare. Not impressed with the 2 wild pitches that got by him. He didn’t move well at all and didn’t attempt to block either one. Just reached out with the glove. He’s gotta be able to shift behind the plate better than that. Watching Ramos hit these first two games has been fun. It’s always fun when I hot prospect comes up and produces. My take is that he has the capability to be an electrifying hitter. His defense is suspect, so I switch of positions could be an option. However, I’m more for sending him back down when Mauer is healthy so that he can maintain consistency (clearly not present in his young minor league career). He can come back up late in the season and be a good bat off the bench. P.S. with the myriad of crazy happenings thus far in the season, it is easy to overlook how brilliant Morneau has been. So we have an all world catcher locked up for a long time, with a MLB ready stud knocking on the door, and a capable backup who is temporarily injured (Morales). Is there a team out there with a similar situation to ours, but at 3B? Preferably in the national league and righthanded? We could even throw in Valencia and Perkins if the deal needed to be sweetened, but I doubt it would. I took a quick look at the teams with the best 3Bs, but didn’t see any that have a stud 3B waiting….did I miss one? The Twins need a third outfielder. Kubel is better suited as a d.h. and Young should be released. Their lack of depth and defensive ability will eventually hurt team. If they seriously thought Ramos was a star, they shouldn’t have signed Mauer. Having committed to Mauer, they need to trade Ramos to shore up the weak part of the team. Disagree on the need to trade for an OF. If Delmon stinks it up (which he is not doing) they can put in Kubel and DH Thome. Look at the prospect list to the right – no need to give up a catcher to get another OF, we’re loaded there right now. How about Todd Frasier of the Reds? They have Rolen through 2012, no obvious catching prospects, Frasier is a RH power bat that looks ready (? ), #43 on bb america’s list of top prospects. 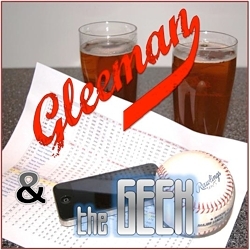 I’m not a big fan of trading Delmon or Kubel, nor do I think the Twins would trade either. I think they committed to them this off-season with the Gomez-Hardy trade. Also, I think that they are both improving defensively (not stat-based; Delmon’s range should improve due to his weight-loss. Either way, the Ramos “problem” is probably something that will be solved during the off-season. Why are those two propositions mutually exclusive? That is like saying everyone goes bald eventually – so why ever get a haircut? I’ll see YOU in Cabo.